AxcessRescue has redefined the meaning of work at height training. The focus is on you, our students. We are the best in the world at what we do. 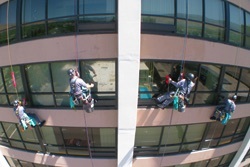 AxcessRescue specializes in real world, needs based rope access training. We work with students to develop understanding of efficient techniques for safety, work, and rescue in the work at height environment. Revolutionizing the world of competent climber training, we present realistic training in purpose-built training facilities that promote enhanced learning opportunities to the workers in this challenging work arena. 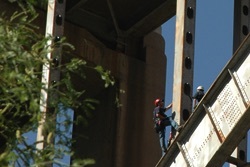 This is fall protection training that is designed around worker applications. Our state of the art facilities provide the student with a broad range of equipment and training props that simulate a wide variety work at height environments. We offer industry specific RDS training. This course was developed from the ground up to provide realistic controlled descent training to those that need basic, safe, and efficient skills to access buildings and other structures. 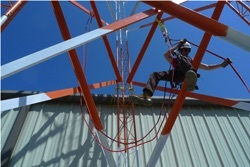 AxcessRescue provides training services that encompass tower climbing and rescue for utility companies. 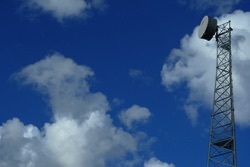 Our courses are specifically tuned for transmission towermen. Please contact us about client specific courses.